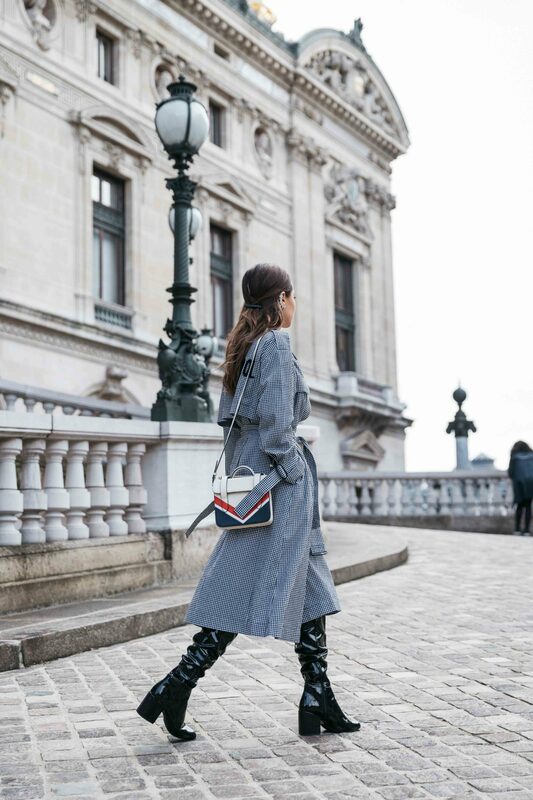 In this post, I share my favorite street style Paris Fashion Week looks and runway designs. 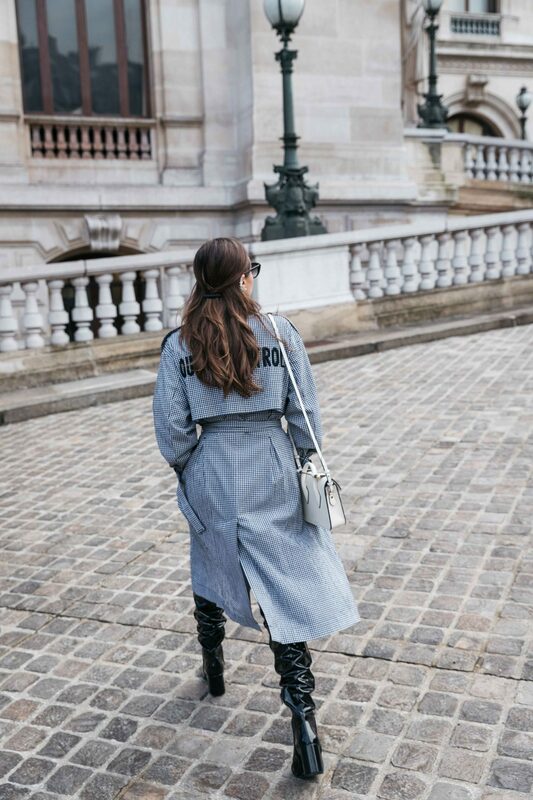 Paris Fashion Week March 2018 was super cold but I was super excited to wear coats, a garment I am not usually wearing as a Los Angeles transplant. 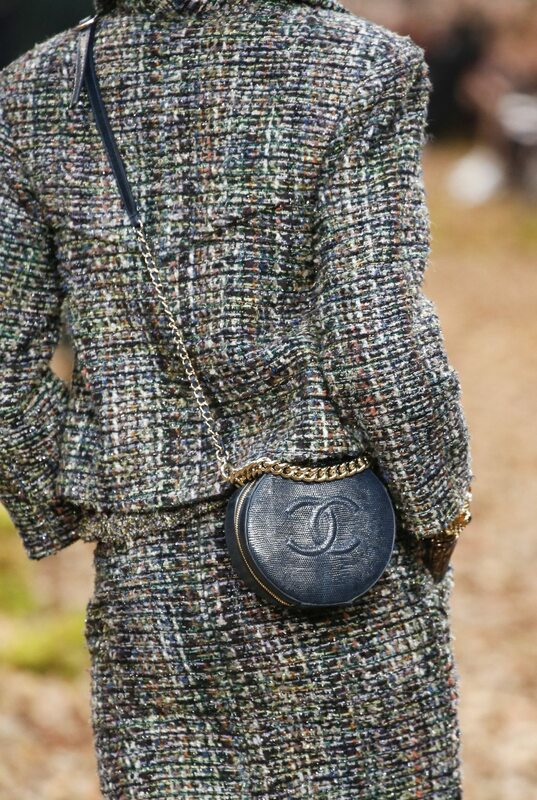 One of my favorite street style look, is my Chanel street style outfit, check it out. As the weather was very cold, I was wearing a beautiful faux leather bomber jacket by La Seine et Moi (a luxury Parisian brand specialized in high-quality faux fur). 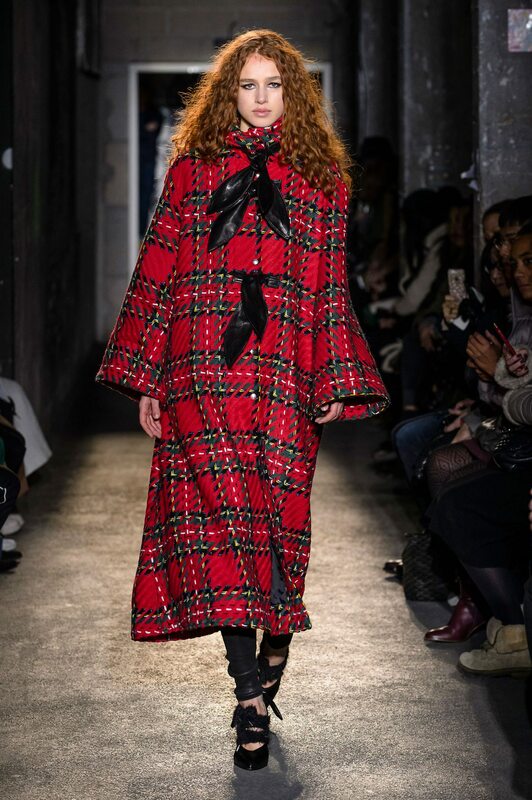 During this Victoria Tomas show, I loved the plaid coat which is closed with tie-up leather belt. Also, I notice beautiful blouses with western-inspired pockets and a bold pink anorak. For this show, I was wearing a green teddy coat from Suistudio and an orange sweater dress from American Vintage and patent boots from Aldo. I attended the Ingie Paris show in the beautiful Shangri-La hotel in Paris. 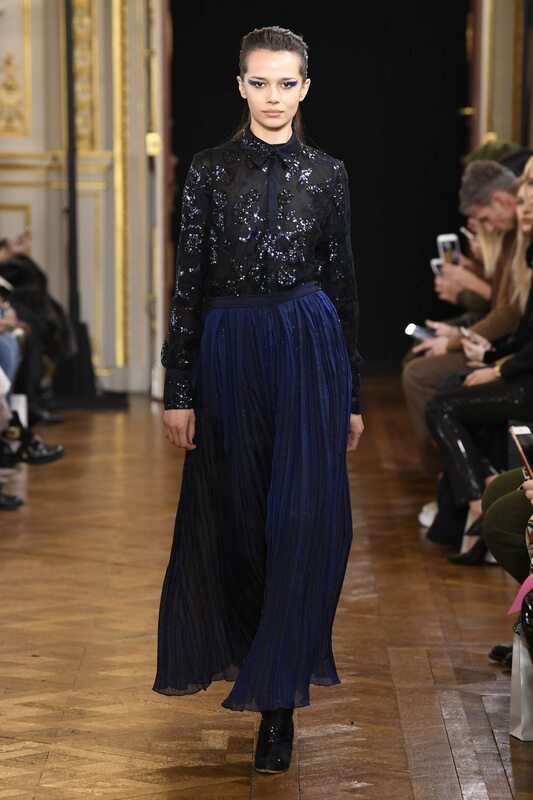 The collection Fall Winter 2018 2019 by Ingie Paris was absolutely delicate and feminine. 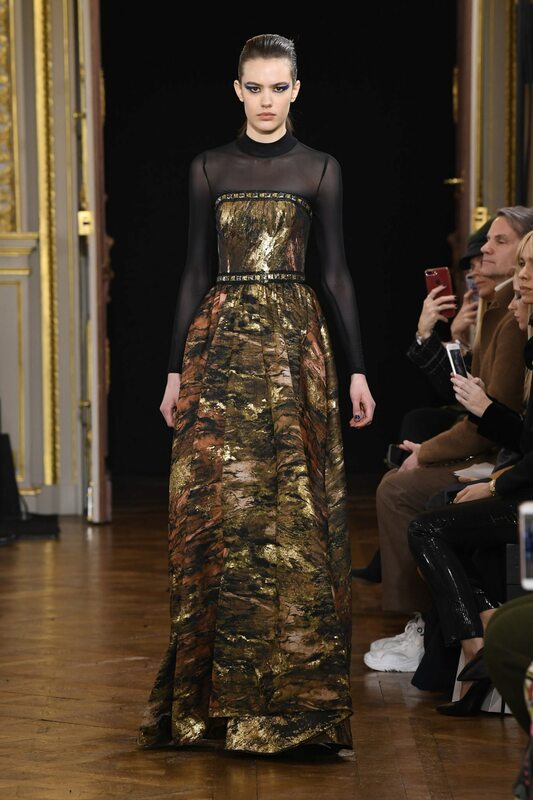 The designer used bold material (feathers, fur, beads, sequins and metallic gold fabrics), played with opacity and transparency, but the cuts of the silhouettes were very minimal; resulting in a very modern and feminine look. In Paris, I see “La Vie en Rose”. 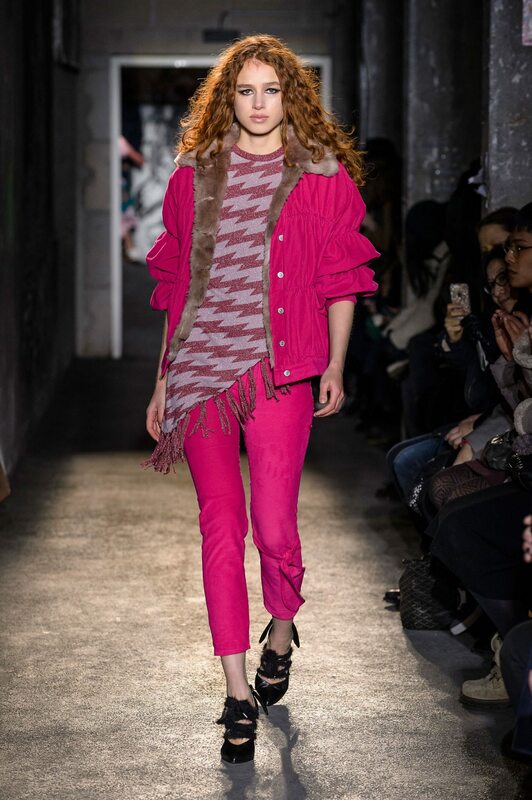 So for this show, I was wearing a stunning pink coat and blue metallic blouse by Tara Jarmon, denim pants by The Kooples and chevron MC nano bag by Strathberry (check out this post for more info about this beautiful Strathberry bag). The Galliano Gazette is back and what a perfect way to read fake news through a clear trench coat! 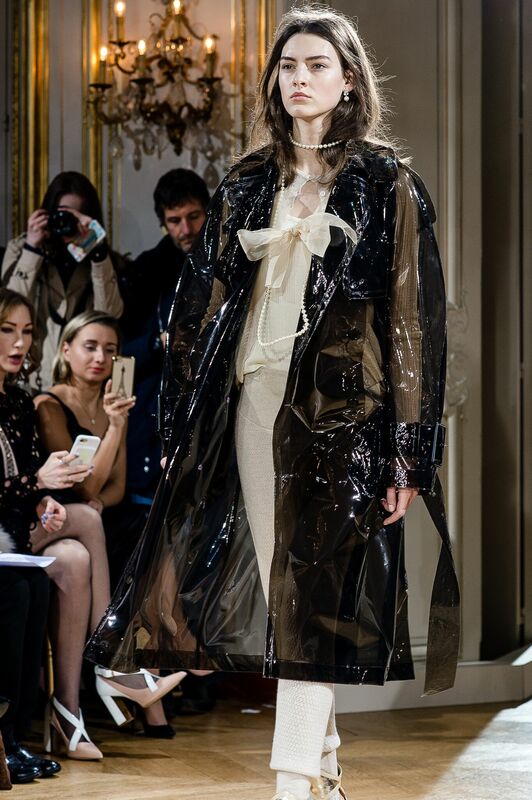 John Galliano layers his looks with transparent fabrics like plastic and tulles which adds more depth to his dreamy silhouettes. 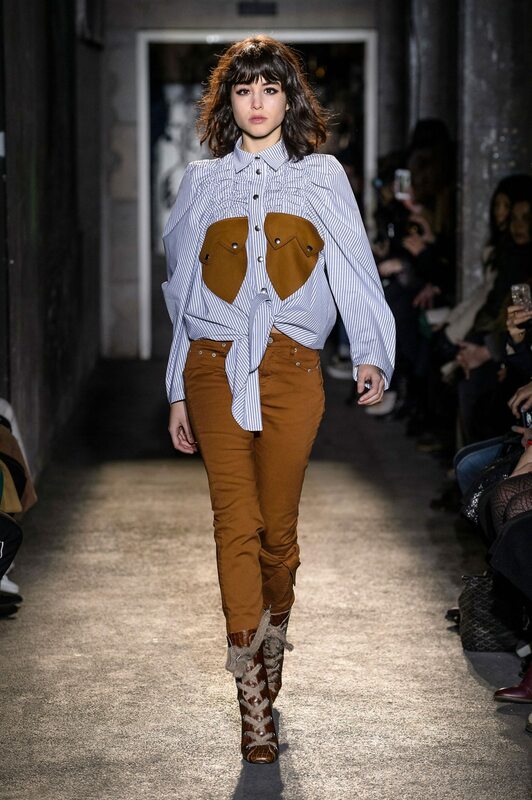 Furthermore, the ambiance was amazing at the show, the music was so good and different models were walking in opposite ways at the same time. Like a fashionable circus, it was very impressive to see all these different silhouettes together. 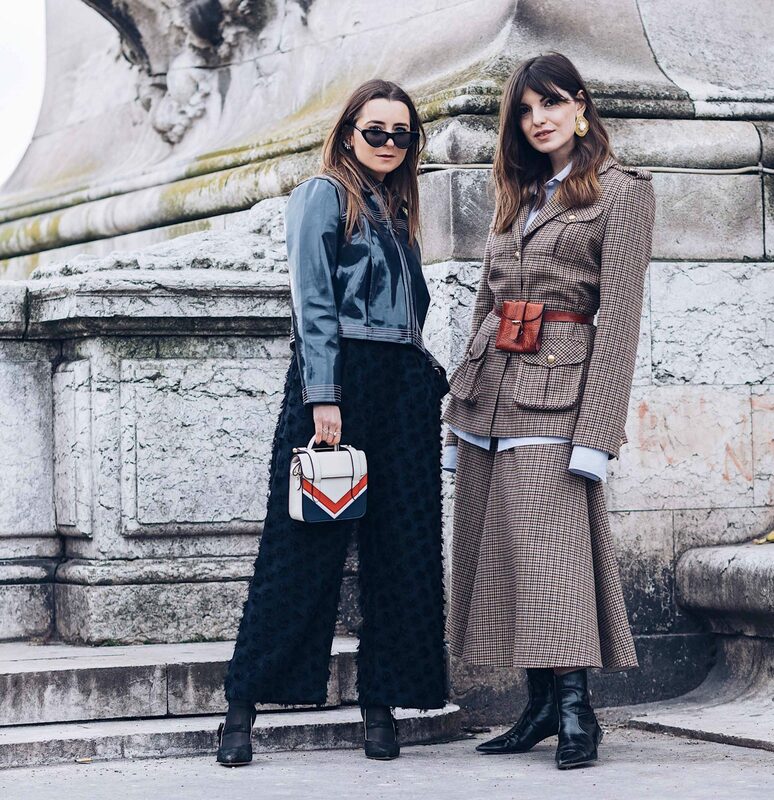 For this Leonard Paris Fall Winter 2018 2019 show, my street style outfit was composed of a gingham cotton trench coat Out Of Control by Mo&Co, Strathberry bag and patented boots by Aldo. 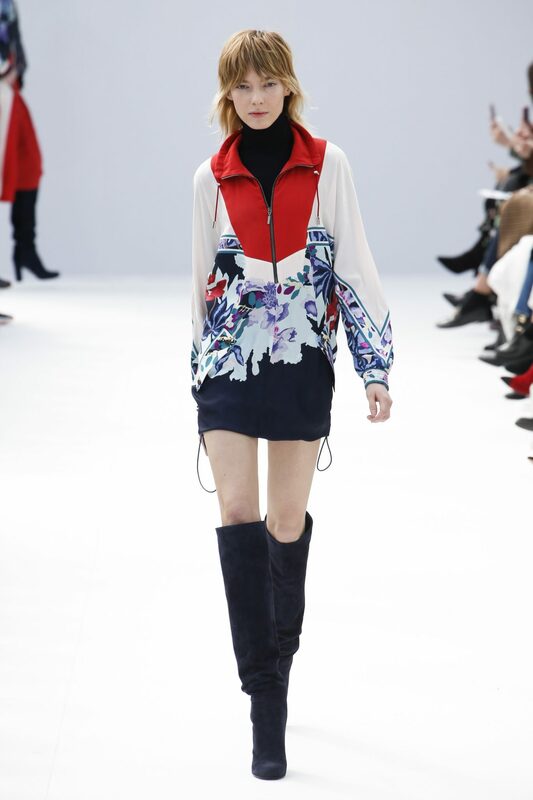 Leonard Paris has just entered a very modern area where sportswear meets haute couture. These Leonard modern basics (bomber, puffer jacket, cape, jumpsuits etc.) 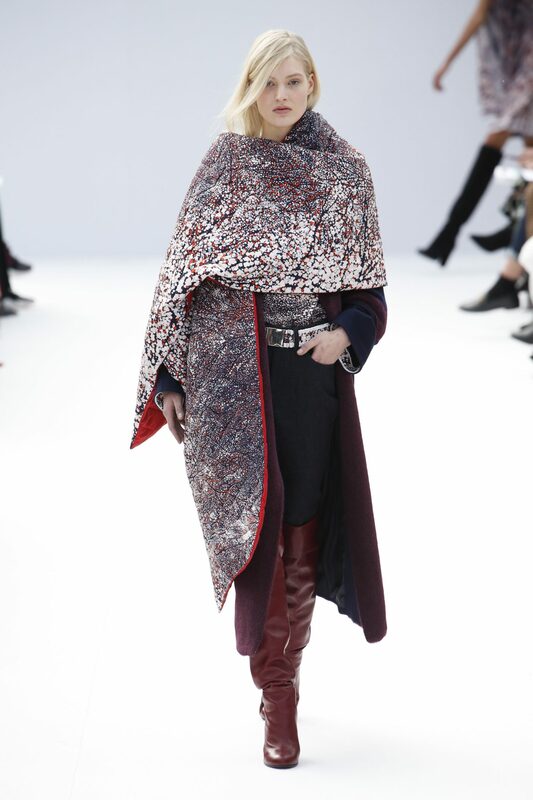 are irresistible: the fabrics and prints are beautiful (Did you see the pointillist cape??) and the tailoring was really neat and fun. My Chanel street style look was composed of a patent leather jacket by Ganni found on Ifchic, embellished pants by H&M, Strathberry Nano Chevron bag and golden shoes by Diminno Shoes. These golden shoes were on point for the Chanel show as gold was really prominent on the next fall-winter Chanel collection. 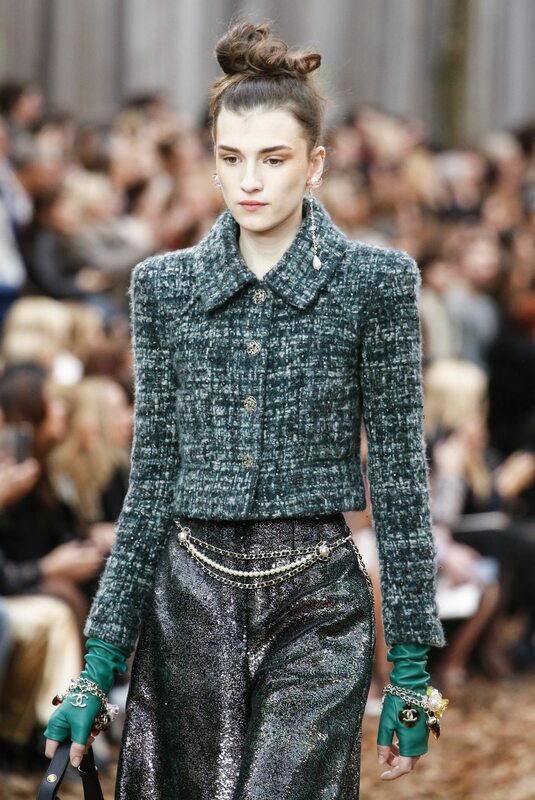 The fabrics at the Chanel shows were amazing. 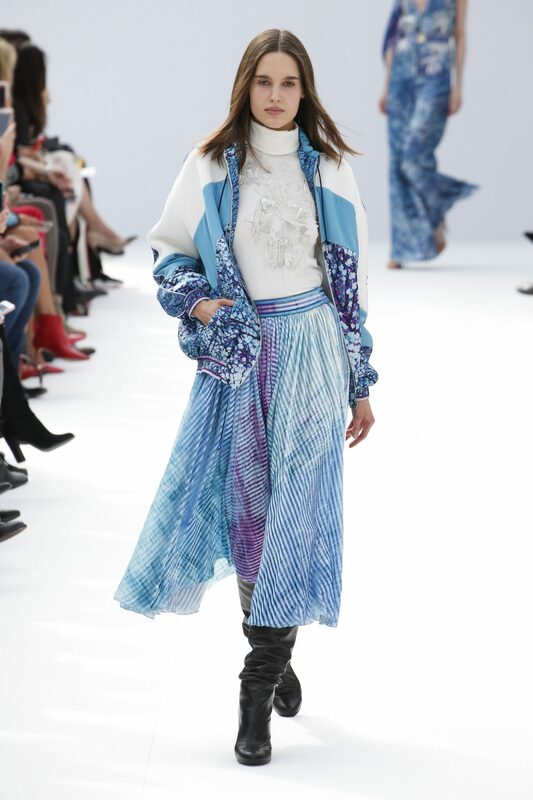 Indeed, Karl Lagerfeld was very inspired by golden hours and fall landscapes for this Chanel Fall Winter 2018 2019 collection. I also notice that models were wearing unmatched earrings, a trend which I absolutely love! Street Style pictures taken by Sebastian Erras. Runway pictures as provided by the brand or taken on Vogue. Loving all your outfits. Ahh, John Galliano is always one I love. 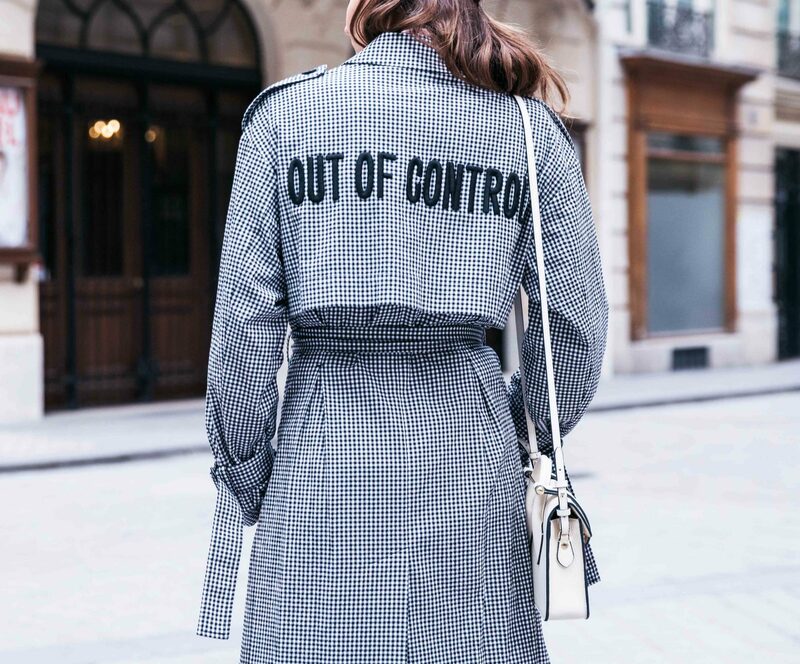 The trench ilwith Out of Control on the back is amazing and so it the teddy coat. Looked like such an incredible time in Paris!! And, you looked fab! Thank you so much Miki! Hope to do it with you next season!! Oh my goodness, all of your looks for fashion week are absolutely impeccable! You are just stunning and have a keen eye for style! I am loving your outfits babe!! They all look amazing and my favorite is that pink coat!! SO cute! Loving all of your outfits, obsessed! Especially obsessing over your street style look for Leonard Paris and your outfit for Chanel fashion show. I couldn’t possibly pick my favorite outfits! You had the best street style, that’s for sure! love all of these! that pink coat is stunning! I can’t decide which look I like best because they are all so fabulous. You have such great style babe! I really love your outfit. You look gorgeous here. And i really love reading your post! Great job girl! Ahh your outfits to Paris Fashion Week are all gorgeous! You’re so stylish! These outfits are so dang cute! 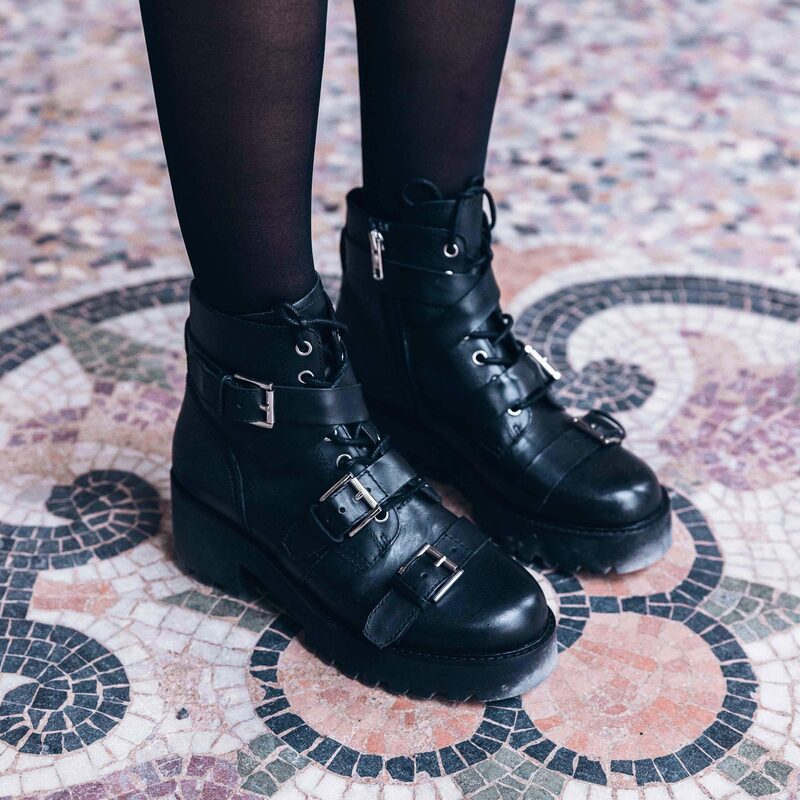 I love them on you and how you styled them! The red dress is fabulous Julia! Love your street style! The white bag is so cute!! Gorgeous outfits! My favourite colours for winter are reds, and plums! What an amazing collection. Totally different and I just loved it. Thank you for showing this Paris fashion look over here.